For durable computers as rugged as the environment in which they are used check out the ruggedized computers available at Computer Dynamics. Dust, grit, grime, smoke, and heat have little to no impact on these computers because they are built to withstand conditions normally harmful to standard computers, whether indoors in an industrial setting or outdoors exposed to inclement conditions. 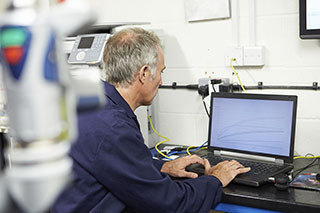 Whether the durable computers that you need are for industrial, military, or marine applications, Computer Dynamics has the durable PCs to fill your requirements. Stress-tested under extreme conditions, you can't go wrong with a durable computer from Computer Dynamics. Contact us today for more information about how we can fulfill your needs.